In normal situations if I was invited to pay money to watch a serious Sandra Bullock and a carefree George Clooney coexist for 90 minutes onscreen I’d run a mile. Ok walk a mile. Ok take a taxi… Ok just not go. The fact is that prolonged exposure to two of Hollywood’s prettiest and most ebullient personalities would generally leave me sick to my stomach. But this is Gravity. Directed by Alfonso Cuaron, better known as the man who gave us Children of Men. 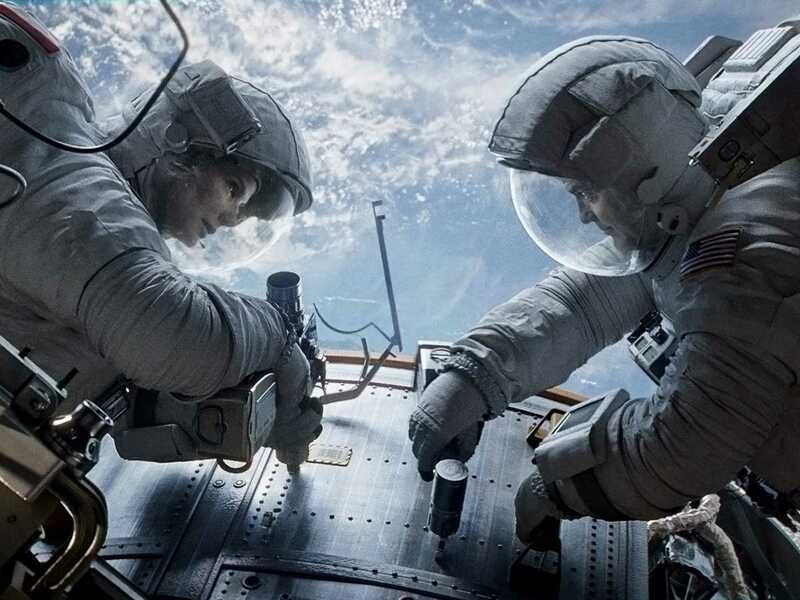 At a lean 90 minutes, Gravity is essentially a road movie set in space – where there are no roads but apparently plenty of vehicles – where characters must get from Point A to Point B while dealing with impediments and imperilments. Sandra Bullock’s Dr Ryan Stone is a first time Spaceketeer, with all the nerves, awkwardness and insecurity that she does so well. On the other hand George Clooney’s Kowalski is an old hand, literally floating through his last job before retirement while spouting pithy quips and unleashing long and boring stories upon the other crew members on both the spacewalk and aboard the shuttle, and the command centre on earth. The bulky spacesuits restrict both mobility and our view of the characters and their renowned goodlookingness. Then stuff happens and this is suddenly not so important. And the mission becomes markedly different for all. Everything that you’ve heard is true. Everything good anyway. Gravity is an amazing piece of filmmaking, despite several factors that would make it seem otherwise. 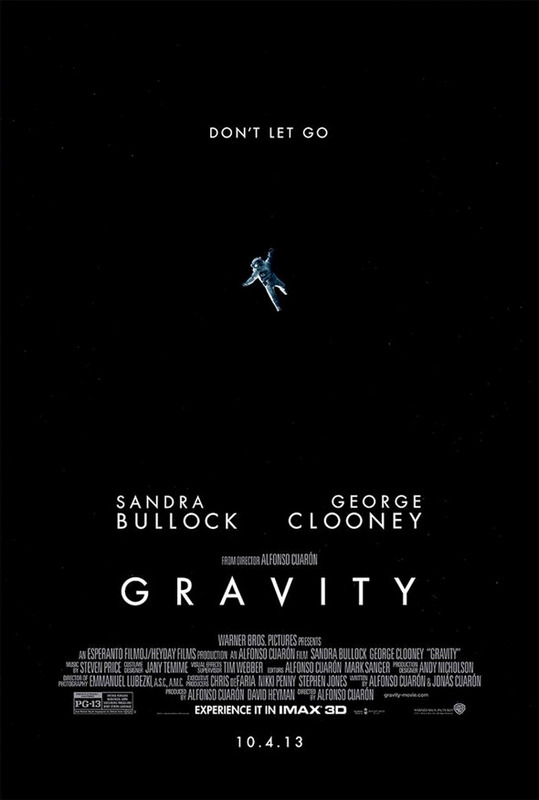 The irony in the title is that the strength of this film is the absence of gravity, rendering movement difficult. This is the equivalent of Kanye and Kim naming a baby Low Key. A brief introductory blurb informs us that space is quite inhospitable indeed. It is fair to say that humankind is not meant to be there. Huge variations in temperature, the aforementioned lack of gravity and the absence of life giving oxygen all give more credence to the assertion. This constant erosion of basic elements means that characters are constantly at risk of expiry even if other things don’t end them first, and it seems that even without an obvious enemy, space has a way of always keeping you one small step from danger. Even when you are at your safest, you are not far from death. It’s unfair to the film to elaborate upon plot events. Suffice to say that a mission goes wrong and a chain of events conspires to keep it that way. The film constantly one ups itself. After every gasp inducing moment you ponder how death could be so omnipresent yet so unlucky not to have claimed a victim. Then it has another go. Remarkably though you never tire of this, nor does it grow stale and repetitive. Gravity achieves the impossible by creating something that couldn’t possibly happen, all while daring you to pick where the special effects are. I kept looking for evidence onscreen that helped me work out how they crafted some of the astonishing visual effects, before realising that it is ALL VISUAL EFFECTS. It made me scared of space again while simultaneously reminding me just how beautiful the infinite emptiness can be. It made me imagine the sense of wonder that a spacewalk would undoubtedly create, while ensuring I would never dare put myself in that situation. It made me want to tell everyone I know to go and watch it, while creating the conundrum of not really being able to say much beyond “just go see it”. So that’s my advice. Don’t worry about what it’s about. Don’t worry about the genre. And to haters such as myself don’t worry about the Star Power of Clooney and Bullock cloying up proceedings. While they are both very good here, they are merely floating about the real star of the show. Go and see Gravity. Find the biggest cinema that you can and pay for the overpriced ticket and the overpriced snacks. Don’t wait until DVD if you can avoid it. Go now. Go often. Even go 3d. It is the reason cinema is still the most invigorating medium in entertainment. It is the reason 3d isn’t always a waste of time. Gravity is hard to describe beyond being the reason we continue lining up for films.